Here's an awesome new stamp from a brand new artist at the Queen Kat store, it's Lizzy Love. I can already tell you that I am TOTALLY in love with all of her stamps and I can guarantee that I will end up with quite a few of them in my collection. SO adorable. This cutie is Lizzy Love 21. Be sure and check out all her wonderful images at the Queen Kat store. And, be sure you take time and smell the flowers, since spring is coming around, I am guessing there are beautiful flowers blooming everywhere. 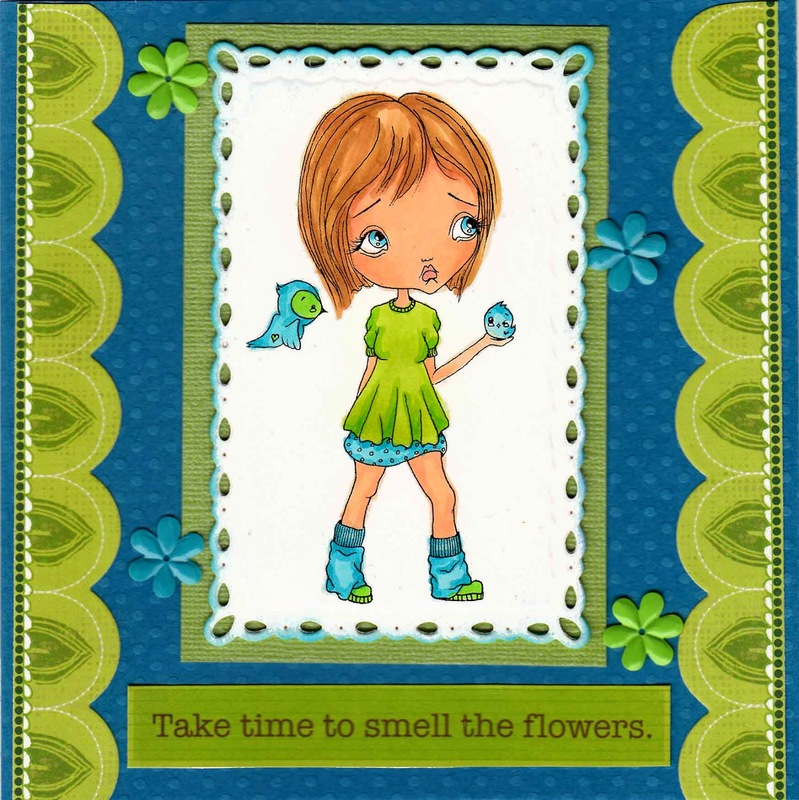 This is just so pretty with the green and aqua and I love the sentiment. What a great image and your card frames it so prettily! Great job!